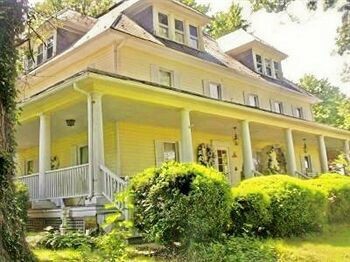 Property Location With a stay at Yellow Turtle Inn in New Windsor, you&apos;ll be within the vicinity of Old Westminster Winery and McDaniel College. This bed & breakfast is within the vicinity of Carroll County Farm Museum and Elk Run Vineyards.Rooms Make yourself at home in one of the 8 individually decorated guestrooms, featuring refrigerators and microwaves. Complimentary wireless Internet access is available to keep you connected. Conveniences include coffee/tea makers and ceiling fans.Rec, Spa, Premium Amenities Pamper yourself with onsite massages and facials. This bed & breakfast also features complimentary wireless Internet access and wedding services.Dining A complimentary continental breakfast is included.Business, Other Amenities Featured amenities include laundry facilities and a library.